Your health is your most important asset. You can trust the professionals who are also your neighbors. Our staff of highly-trained professionals choose to live and serve here in Knox County for the same reasons you do, because we LOVE our community. You aren't simply another patient. You are our family, our friends, our neighbors and you deserve to be treated with the hospitality that only can be found in our rural Texas home of Knox Country. The Knox County Hospital District Emergency Department is staffed 24 hours a day, 7 days a week. Knox County Hospital District emergency medical professionals provide a critical lifeline for our community. In case of an emergency, dial 911. KCHD offers a wide range of medical services to meet the needs of Knox County and surrounding areas. 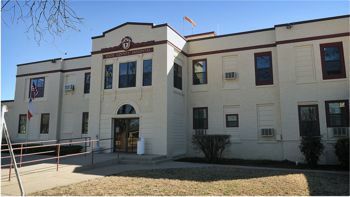 Knox County Hospital is an Acute Care facility serving Knox County and the surrounding areas. Whether your healthcare needs are urgent or chronic, we welcome you to experience compassionate and personalized care provided by people you know. Inside our historic facility you will find the equipment our providers need, skilled professionals, and a wide range of medical services. We offer: 24-hour Emergency Level IV Trauma Center, EMS, Home Health, Physical, Cardiac & Speech Therapy, Laboratory, Radiology, and more. 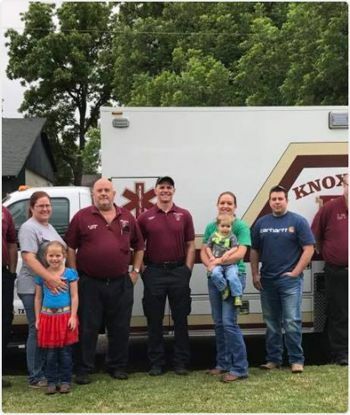 Knox County Hospital District also owns and operates Knox City and Munday Clinics which provide family medicine, preventative care, and acute care for minor emergencies. Knox County Pharmacy and Supply is available to meet prescription needs as well as over-the-counter medication and supplies. Durable Medical Equipment is available through Seymour Medical Supply servicing 29 counties. Munday Nursing Center assists those who may benefit from 24-hour nursing care and assistance with meals and other activities of daily living. Please visit us on Facebook at Knox County Hospital District. Knox County Hospital District provides top-level professional healthcare with skilled medical professionals. Choosing to utilize healthcare within the local community is not only wise, it also ensures that high-quality healthcare will be available for generations to come right here in our rural community that we love. © 2018 Knox County Hospital District. All rights reserved.